Warning: Spoilers Ahead. Read at your own risk. Something is lurking in the jungles of Central America picking off soldiers one-by-one. In the City of Angels, gang members are being massacred with grisly crime scenes stumping the police. A Predator is on the loose. 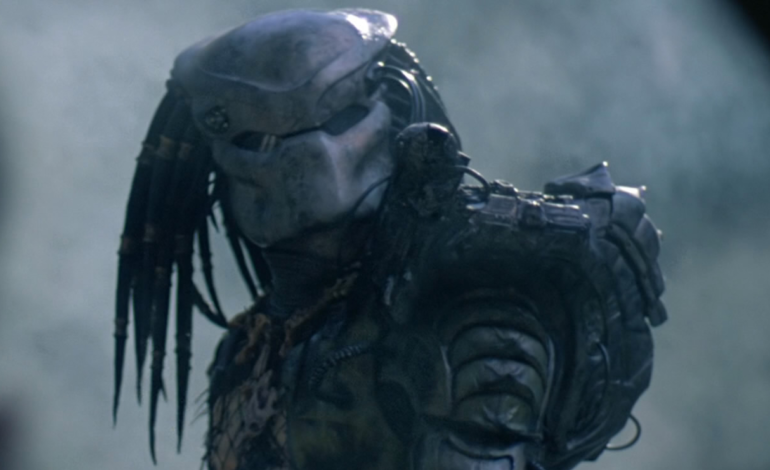 The Predator series involves an alien species that is advanced in its weapons and cloaking abilities. His debut thirty-one years ago has spawned several sequels and spin-offs which include the Alien vs Predator films, video games, comics and even collectable items. The Predator has become something of a pop culture phenomenon and with the upcoming release of The Predator just a few days away, let’s take a look at the origins of his beginnings and analyze the films that he’s appeared in. Note, this piece will focus on the main Predator films and not include Alien vs Predator. In a story that may be hard to fathom for some, The Predator started off as a joke. After the release of Rocky IV, there were jabs that said Rocky was going to fight an alien. He’s already fought a Russian, so an alien makes sense, right? As wacky as it sounds a story was developed, The Predator was released in the summer of 1987 and starred the major box office power of Arnold Schwarzenegger and became as success! A sequel followed three years later and had Danny Glover (Lethal Weapon) in the lead after Schwarzenegger declined to return. The last Predator movie title Predators was then released twenty years later in 2010 and was quite different in respect to the two previous entries. It wouldn’t take long for The Predator and Alien series to combine and to give us Alien vs Predator and its sequel Alien vs Predator Requiem. While the idea of seeing these two iconic creations battle it out, the end result was a devastating blow to fans especially since the first AVP was rated PG-13. It’s one of the reasons that I want to only talk about the main features as those have more meaning as to the character at hand. To make this flow nicely I’ll be talking about each Predator film. Each one is similar to the other and different in their own ways. Three different directors and multiple writers make for some interesting takes on the extraterrestrial from far beyond. So here we go! I almost forgot what it was like to feel like a man until I watched Predator again! Featuring a cast that mostly consisted of body-builders who duke it out with an unknown entity out in the deep recesses of the jungle, The Predator is a perfect example of the “ultimate guy movie”. The plot is really simple, so simple that it seems the story took all of five minutes to come up with. A group of special forces soldiers are on a mission to recover some hostages until they come across something that may not be native to Earth. See, sounds simple right? One of the great things about the first movie are the one-liners that are so tongue in cheek that I challenge a friendly drinking game when you watch it. Simply, take a shot of whatever every time those cheesy one-liners are said. You’ll have a great time, especially if you’re watching the movie with friends. All kidding aside, Predator is a good action movie and quite suspenseful at times. Seeing the Predator for the first time was really quite something – almost the same feeling when I saw the Xenomorph in Alien. It was astonishing, neat and unforgettable. The story behind it all is also interesting. Filmed on location, Schwarzenegger said that filming was “brutal and tough.” Actors had to endure the intense heat during the day, cold at night and numerous setbacks due to the costume for the alien creature. Originally, Jean-Claude Van Damme was going to portray the Predator. The idea was that the alien would be very agile against the big army guys but unfortunately it didn’t pan out. Being agile wouldn’t scare the people you’re trying to kill, it would make it a challenge but not something to put these hardened men in fear. Instead, the crew brought along the late Kevin Peter Hall (Harry and the Hendersons) to play the alien. Standing at over seven feet tall, it made more sense that this would be the choice of the Predator. Additionally, the costume was vastly different when Van Damme was still attached. The special effects make-up artist Stan Winston was tasked with the creation of the creature. His other works include The Terminator series, the first three Jurassic Park films and Iron Man. Another item that made filming tough was that Hall couldn’t see out the mask. He had to mesmerize where to move first then go to filming. The final fight scene alone took two weeks to film. This is was John McTiernan’s first studio film as well, so you can imagine the pressure he was under. He would later direct the hugely successful Die Hard. In an uncredited appearance, Shane Black (writer of Lethal Weapon) played Rick Hawkins, one of the soldiers in the movie and first to be killed by the Predator. He was told by 20th Century Fox to watch Mctiernan in order to make sure he did a good job. His success with Lethal Weapon essentially gave him a title of producer to oversee the project even though he wasn’t one. The result paid off and Predator was a box office success. The script by Jim and John Thomas isn’t award worthy, but was suitable enough to provide entertainment. 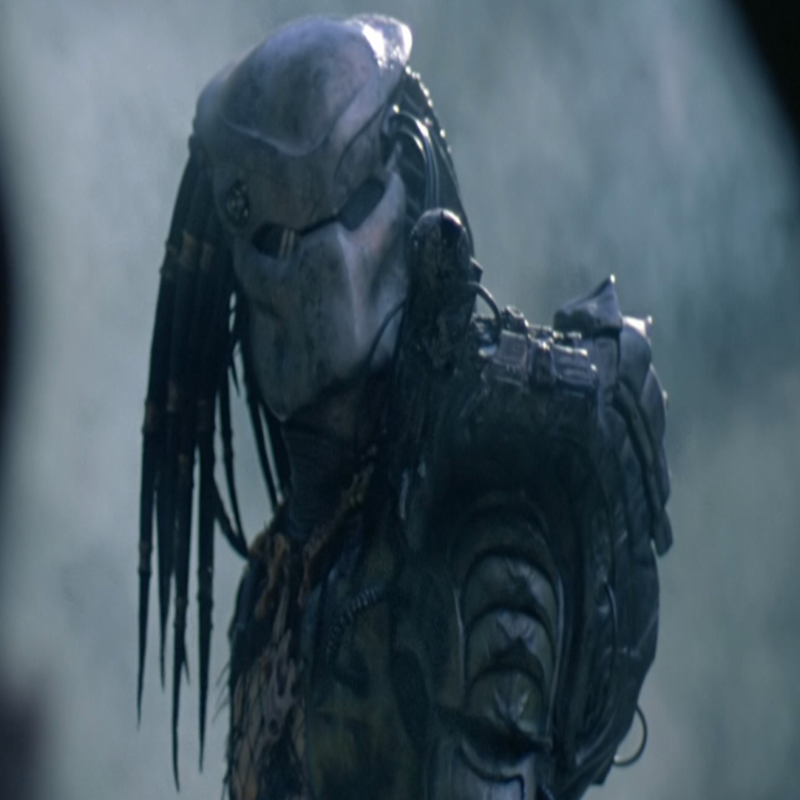 The real stars of the show besides the Predator himself is the supporting cast which include Carl Weathers (Rocky), Bill Duke (Commando), Jesse Ventura (The Running Man), and Peter Cullen (voice of Optimus Prime from Transformers), who you wouldn’t believe voiced the Predator, himself. Predator is simple, cheesy and loads of fun as long as you’re watching it with a lot of friends. Being over thirty years old has cemented it in action history and despite a mixed reception from critics at the time of its release, Predator is a lot of fun. Going from the jungles of Central America we enter another sort of jungle, the city of Los Angeles. It seems that gang members are being slaughtered in various ways, leaving the police baffled as to who’s responsible. Starring Danny Glover in the leading role, he plays a detective who is tasked with figuring out what’s going on. While the first Predator was slow building and suspenseful, Predator 2 has so much energy that you may feel exhausted once it ends. The cast is pretty good, the script is over-the-top to say the least (credit for the original writers Jim and John Thomas returning) and doesn’t compare to the original in the slightest. This is also one of the first films to receive the newly established NC-17 rating before being edited down to secure an R-rating. The first film to get the rating was Henry and June, released roughly one month prior to this film. The supporting cast includes Gary Busey, the late Bill Paxton, Maria Conchita Alonso, Adam Baldwin and Robert Davi. I really enjoyed the energy in this movie and the efforts from all the actors, but the script is so ridiculous, not to mention the numerous plot holes that are present as well. The film never explains why the Predator is in L.A. or how he got there, why he’s killing gang members primarily even though it does somewhat explain who he kills and why. As far as we know the Predator has three rules. He only targets those who are armed. He doesn’t kill women who are pregnant. That much we know and Predator 2 explains these rules but so quickly in fact that you probably won’t recall them. Gary Busey is the one actor who seemed really invested in the project as well as Glover. They put a lot of effort in the film and do a good job. Kevin Peter Hall makes his return as the Predator and does well. Sadly, Peter Hall died from aids-related pneumonia less than one year after this film’s release. After being involved in a car accident, he was given a blood transfusion to save his life. Unfortunately, the blood was infected with aids and wasn’t tested – a tragic loss for the film industry. Throughout the film, we see numerous bloody crime scenes where the victims are horribly mutilated. The Predator is taking trophies with him: the skulls of his victims. Later, we see a ship that contains several skulls, and if you look closely you’ll spot a Xenomorph skeleton – the first time the Xenomorphs from Alien are introduced in the Predator’s storyline. I’ll say this, if you’re a fan of the first film, then give this one a chance. Perhaps, continue playing that drinking game I mentioned because there are plenty of wacky moments. It’s a much more exciting take on the series than the next one I’m about to mention. When all else fails, just go to space. How many movies have we’ve seen that take said series into space? Jason X, Leprechaun 4: In Space, Critters 4, Hellraiser: Bloodline (for about half of the film) are just some examples to name off. It’s not really that much of a surprise since the alien species is not from this planet. Predators is bad right from the start and does nothing to redeem itself. The plot sees a bunch of people being dropping from airplanes or spaceships, I suppose, onto a planet. They are armed with weapons and have no idea where they are or what has happened to them. Turns out, they are on a Predator planet – the ultimate hunting party where they are the prey. We know the Predators hunt and kill for sport, which is something the series has never even bothered answering. This film sports a decent cast, which includes Adrien Brody, Alice Braga, Topher Grace, Walton Goggins, Laurence Fishburne and Danny Trejo battling against numerous Predators. Some look different than the others and we even get these dog-like creatures running around as well. While the idea sounds something similar to The Most Dangerous Game, the film itself lacks visceral thrills. It seems as if the initial plot was interesting and the end result messed something up. Basically, the characters have hardly any depth to them and spend their time wandering around trying not to die. They assume there’s a way off this planet in terms of finding a ship and Fishburne’s character does show some interesting traits. The film is ugly, filled with bloody violence and lacking in suspense. The Predators themselves are indistinguishable as there are several. The previous films dealt with one Predator, one enemy to fight. In Predators, the game is rigged for the humans to lose. Killing a Predator isn’t easy, so watching the film felt not fun and tedious. There’s no chance for them to survive and I wished that a better script was utilized so that this film could’ve had a chance. This induced more yawns than excitement. It’s been eight years since we’ve last seen them and almost thirty for a decent film to come by. Shane Black is now in the director’s seat and since he was involved in the original film, perhaps this one has a chance. One thing I’ve always wanted is a film to respect its central character and give me a proper story. While I’m not the biggest fan of this franchise (Alien is more my cup of tea), The Predator is still a unique creation. In this reboot, the Predator is back to wreak havoc on Earth and a new cast is here to tackle on the space hunter. The film will star Olivia Munn, Boyd Holbrook, Keegan-Michael Key, Thomas Jane, Sterling K. Brown (portraying the Predator) and Jake Busey (who plays the son of Gary Busey’s character from Predator 2). This film serves as a direct sequel to part two and takes place prior to the events of Predators. Early reviews are looking to be overall positive but we’ll have to wait and see when it releases in a couple of days. Science Fiction is a genre that I love becoming immersed in and while I steer more towards Alien and Metropolis rather than Star Wars, I love a good story. The Predator franchise has the means to be good, if not great, but something is missing. The films are treated in the same fashion as a slasher movie but with action/sci-fi taking place instead of horror. Overall in my opinion, I would recommend the first two films to watch. Predators lacks in thrills and a cohesive story while AVP is something that shouldn’t have happened in the first place. The neutered rating and pale storytelling made for some horrendous experiences. With the countdown already in place, the Predator is coming back for the hunt and this time we’re ready for him. The Predator releases this Friday and hopefully Shane Black and his team can finally give this hunter something he really deserves: a sequel that equally matches the original.